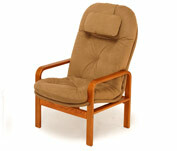 Comfort seats made to fit your body with your choice of wood and upholstery. 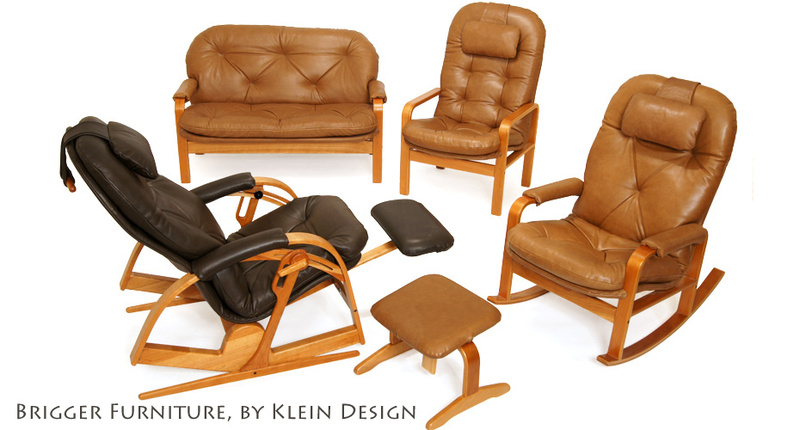 Choose a model Rocker, Chair, Recliner or Sofa. We have something for everybody. 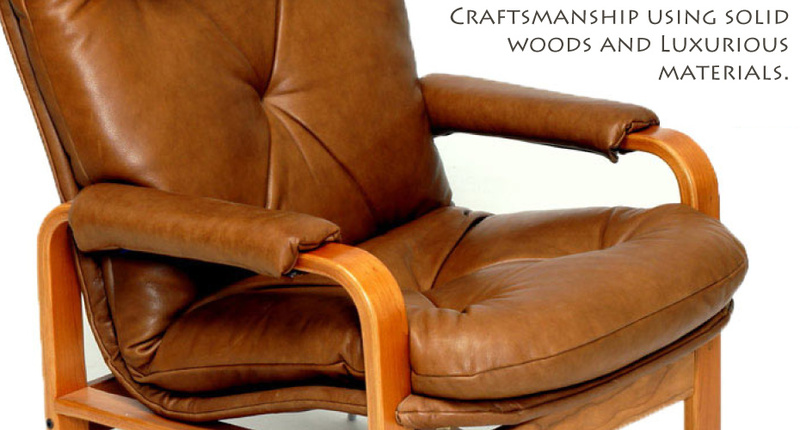 Go to the Design Center to select upholstery and wood. 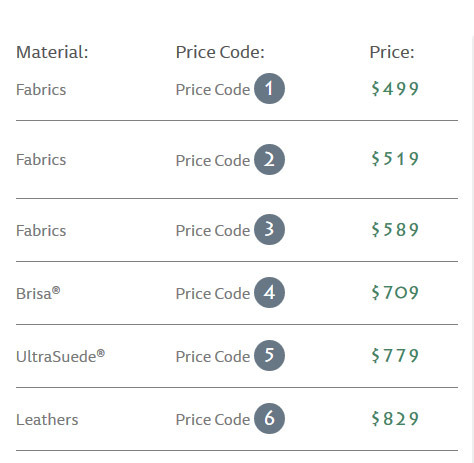 Prices are based on your material selections. 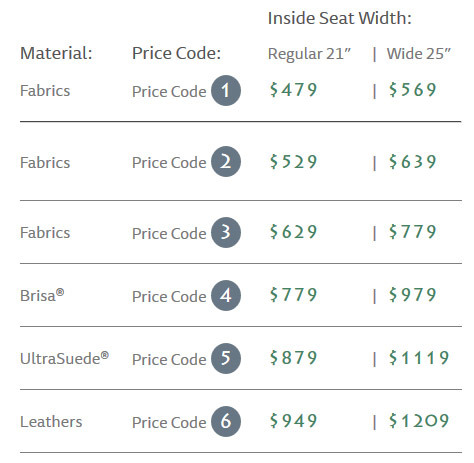 Call us at (800) 451-7247 with your personal height, or Email Us, and we will recommend the best seat size for you. 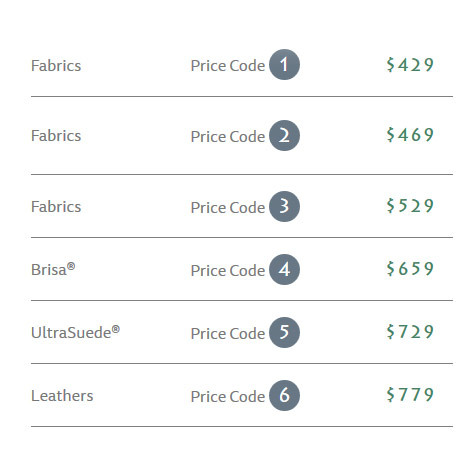 View custom option of wood and fabric. 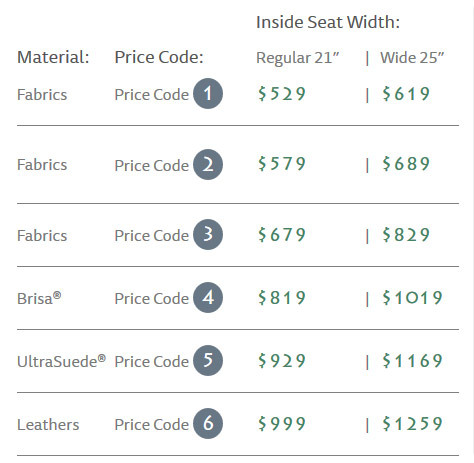 Go to the Fitting Center for custom seats. 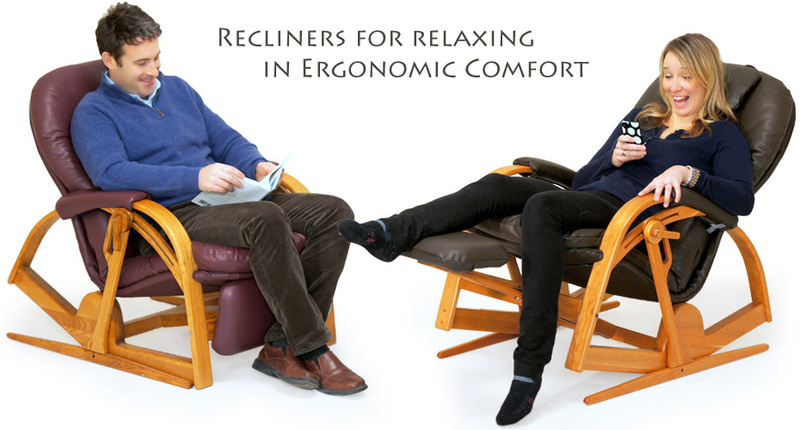 Brigger recliners offer unmatched ergonomic comfort with unique design and function. 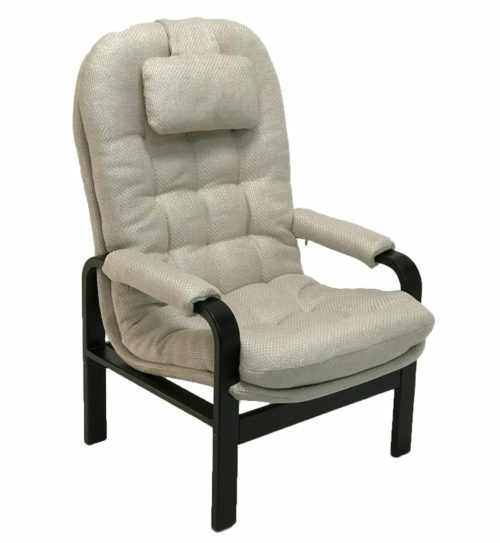 Flip from an upright sitting posture to the reclined “zero gravity” position to unwind, and return with ease to the original posture. 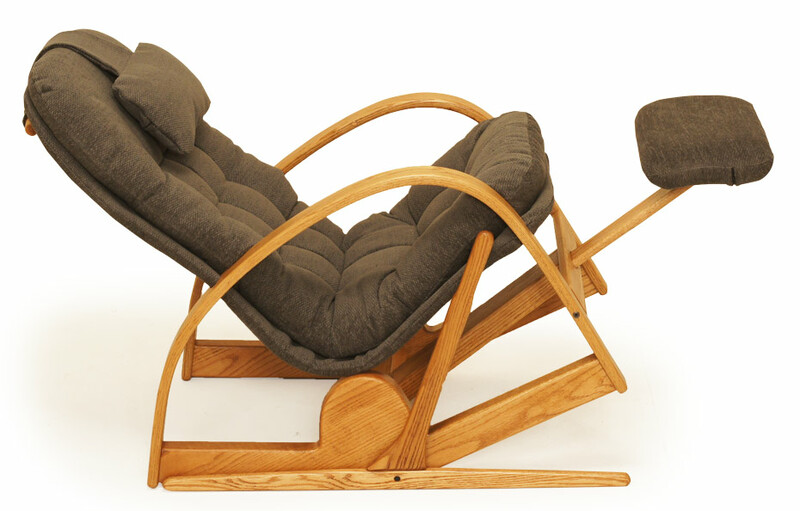 Relax while keeping your body active. 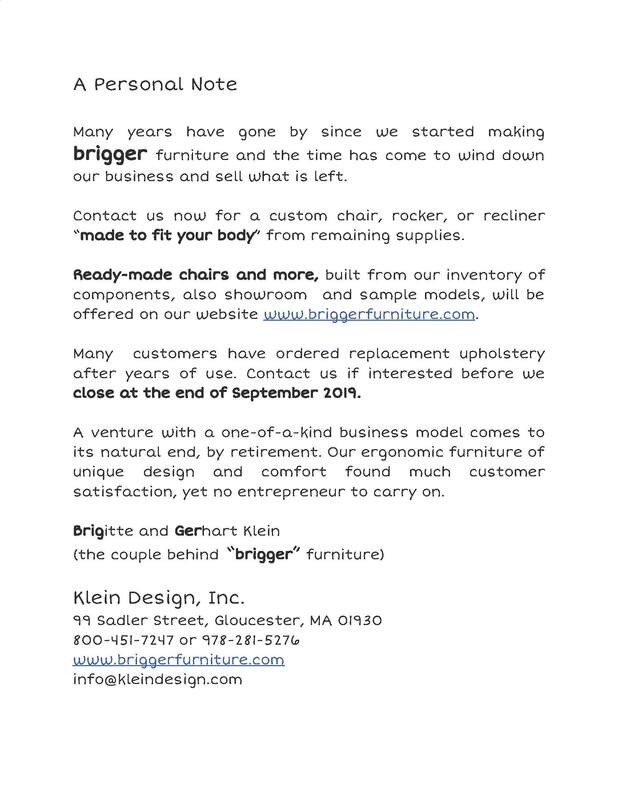 Recliners, like all Brigger Furniture, are made to fit your size whether you are short, tall, or need extra width. 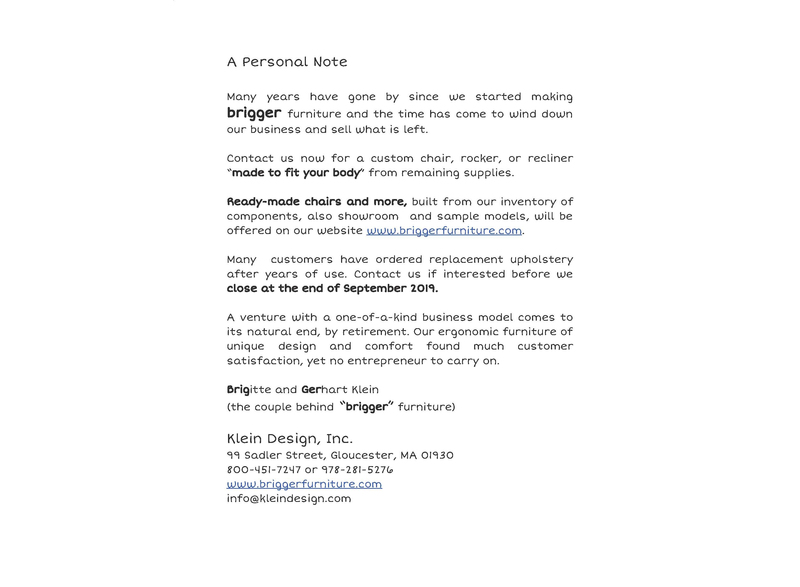 Ergonomic Brigger chairs come in many variations and all are made to fit your body. 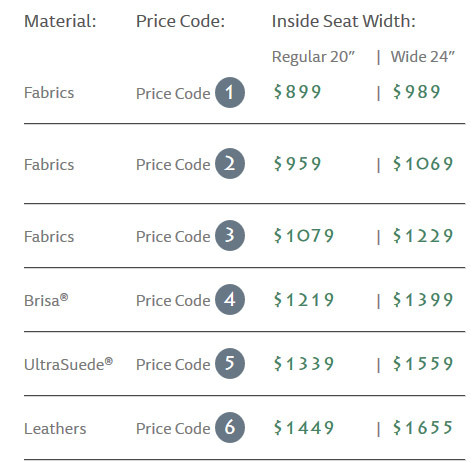 Tell us your measurements and we make a chair to fit you. 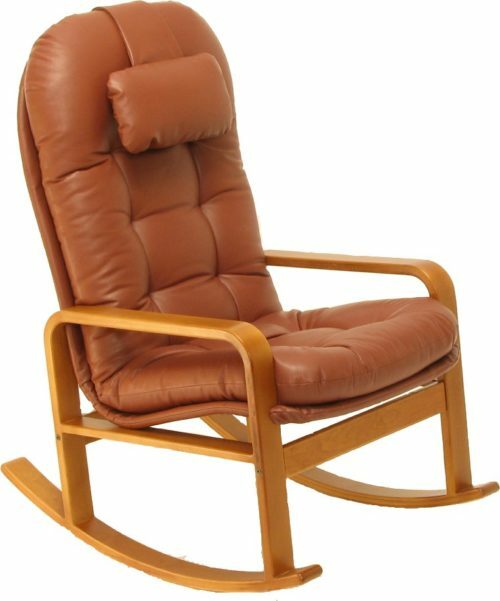 We offer high back chairs for your personal comfort, models with medium and low backs for general sitting areas, and comfort dining chairs for relaxed sitting at the dinner table. 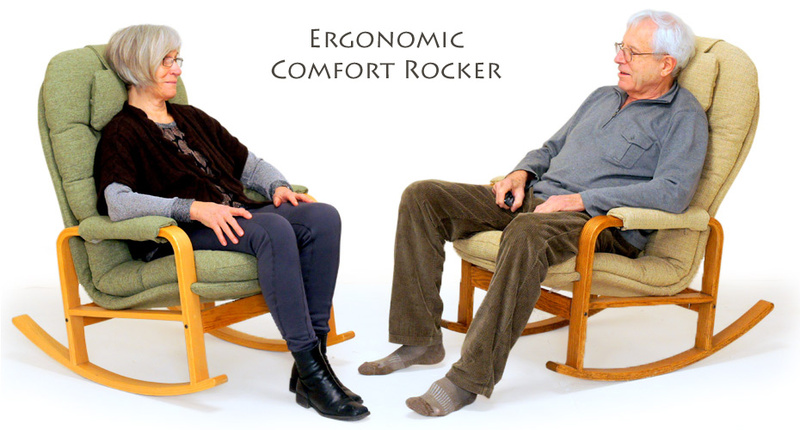 Rockers are as relaxing as any seat can be. 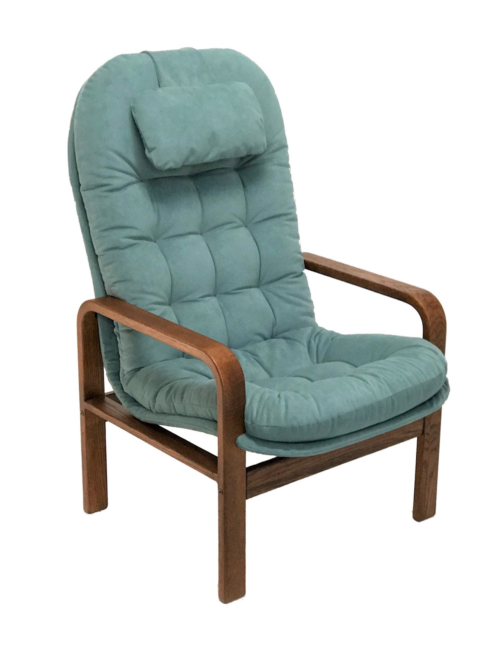 Sitting in ergonomic comfort while rocking gently combines sitting pleasure with healthy motion that keeps your body active and your circulation going. 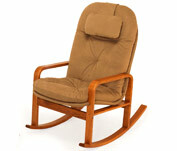 Ergonomic Brigger rockers come in many variations to satisfy your desire for body support, relaxation and comfort. 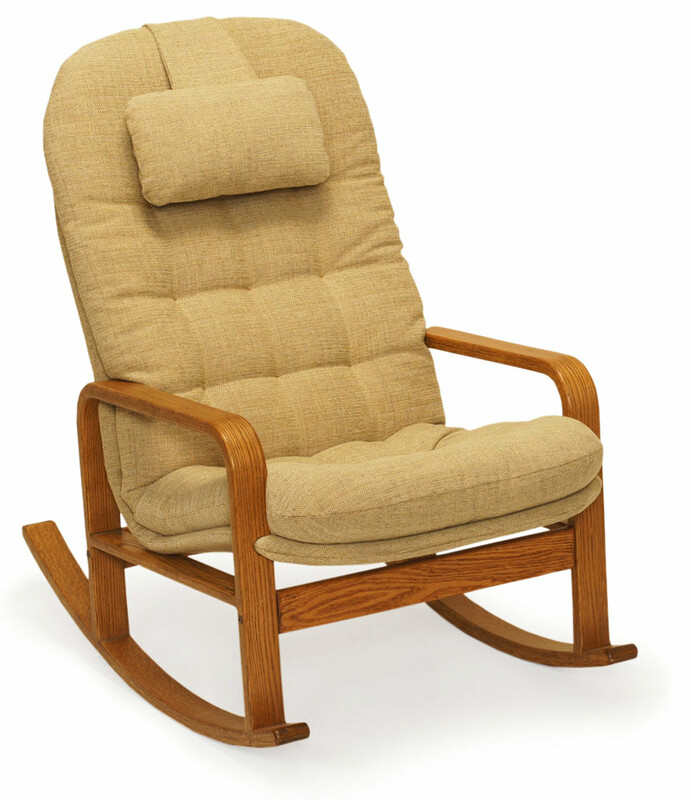 Mothers love high back rockers to nurse and enjoy the baby. 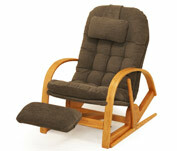 Seniors spend hours pleasurably rocking the time away. 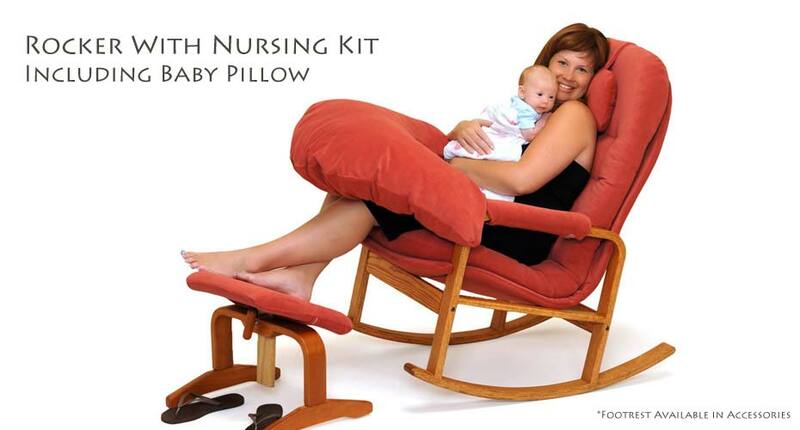 Everyone else just enjoys them to relax. 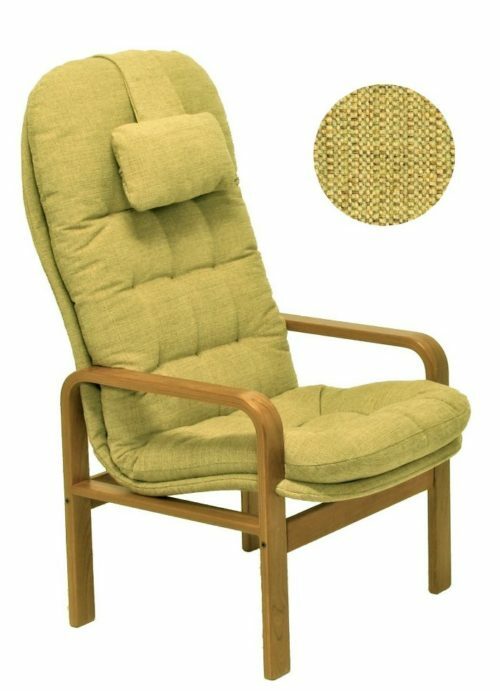 Medium and low back rockers make interesting seats for general sitting areas. 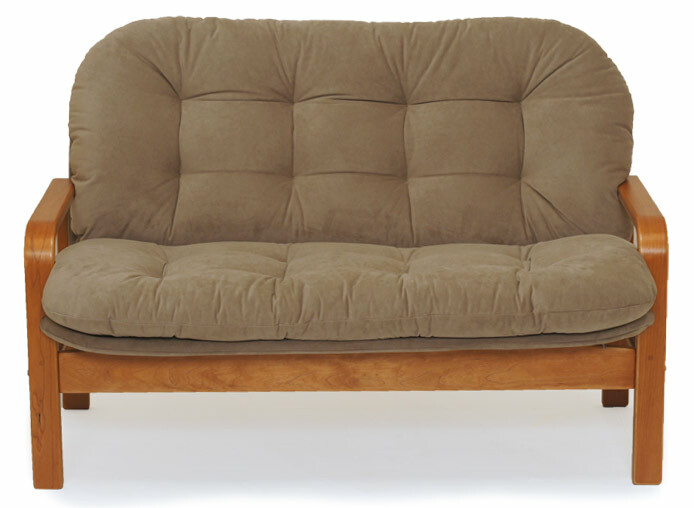 Ergonomic Brigger sofas are not conventional: They have seats on the firmer side and somewhat softer backs. 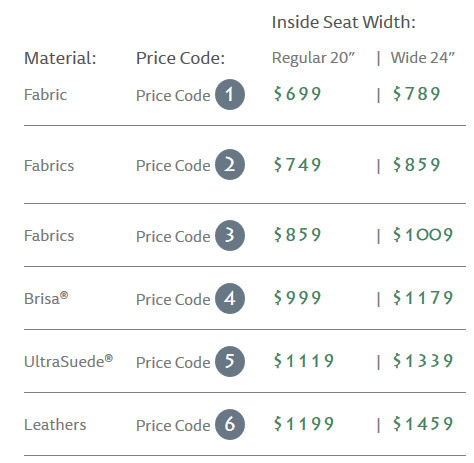 With the correct seat depth and height there will be good lumbar and back support. 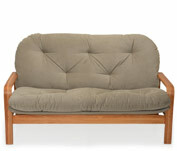 Brigger sofas come in lengths from four to seven feet (loveseat to extra long sofa) in one foot intervals. 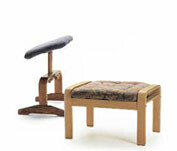 They disassemble for moving and fit small spaces.